People diagnosed with a particular type of thyroid cancer and aggressively treated for it actually didn’t have cancer after all. 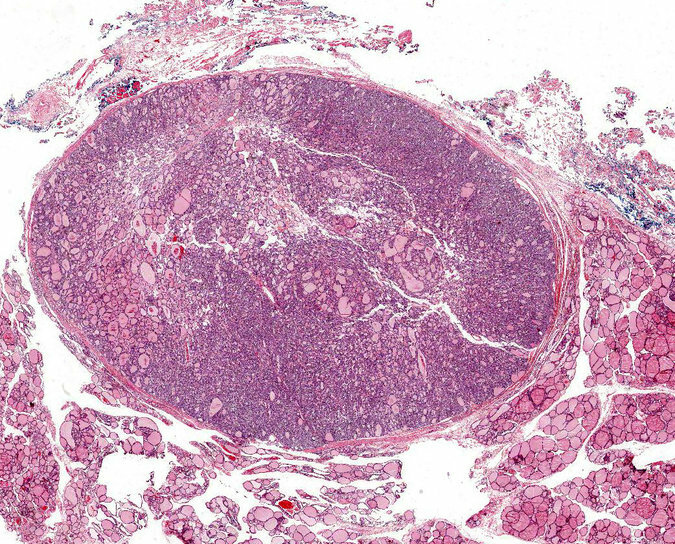 That’s the conclusion of 24 endocrinology pathologists from seven countries empaneled by the University of Pittsburgh School of Medicine to reconsider the diagnosis and treatment of Encapsulated Follicular Variant of Papillary Thyroid Carcinoma. Thirty ex-NFL players have teamed up with a cannabis company in California to test medical marijuana as a treatment for chronic pain and depression. The move comes in the wake of increasing reports on the physical and mental anguish retired football players face, including a potentially debilitating brain disease called chronic traumatic encephalopathy (CTE). Is this the answer they’ve been looking for? Leading the player side of the trial is Gridiron Cannabis Coalition, an organization founded by a former NFL star to spread awareness about the effectiveness of the drug. Longstanding marijuana extract maker Constance Therapeutics will provide the extracts and oils that players will use to treat their pain. Six years after President Obama’s health reforms became law, officials in his administration told POLITICO they are launching the largest-ever initiative to transform primary care in America, an effort to give doctors more flexibility and reward them for producing better results for their patients. The experiment the administration will announce today, a program called Comprehensive Primary Care Plus, is intended to shake up the way 20,000 doctors and clinicians treat more than 25 million patients when it goes into effect in January 2017. The program, which will be run as a pilot study out of four clinics in New York, Hawaii, Oregon and Washington state, is a first in the US – and one that its architects urgently hope to expand as the country’s abortion clinics close down at historic rates. The 80-year-old drug Seconal, a once widely used sleeping pill now often prescribed as an end-of-life treatment, has doubled in price as laws go into effect in several states this year permitting terminally ill patients to take their own lives. Valeant Pharmaceuticals, which is among companies being investigated by Congress for price gouging, doubled the price of Seconal last year from $1,500 to $3,000 after acquiring the rights to it. Health officials in Arizona, California, Colorado and Washington have warned thousands of patients they were possibly infected with HIV, and hepatitis B and C after a surgical tech allegedly swapped syringes used in surgery. At least six hospitals are warning some 5,000 patients to get testing for the disease, but said the chances of contracting the illnesses were low. The announcement comes after Rocky Allen, 28, was indicted on charges of tampering with a consumer product and obtaining a controlled substance by deceit. He was accused of swapping syringes containing a powerful painkiller with other syringes. In experiments with mice that have early-stage Alzheimer's disease, scientists at the Massachusetts Institute of Technology found memories are still stored in the brain but the condition prevents them from being accessed. The scientists used a optogenetics, a technique that involves activating brain cells with light, in a proof-of-concept study showing missing memories may still exist in Alzheimer's patients' brains -- but scientists need a method to unlock them.